The early label SHAMELESS TOADY continues to distribute some good & different sounds. Indeed, the secretive producer PRESTON FLEX releases on this lab a new electro project very close to the ‘Garage’ music. 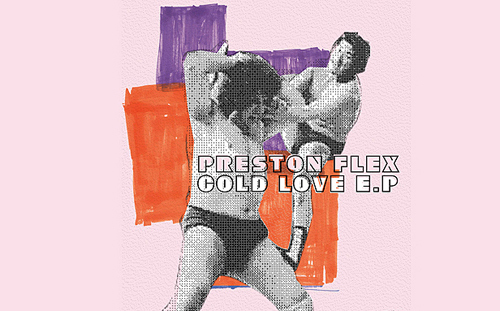 His new E.P entitled “Cold Love” features 4 great tracks mixing Electro, Idm & Garage. The peoples who listened spacey Drum’n’Bass from labels like METALHEADZ will be enthusiastic by this hybrid way. For others who aren’t familiar with Garage & D’n’B, front of the quality of this production, we suggest at least to listen the E.P …and more if you love it. Step by step, some releases like this one are pushing the level of electro music to an interesting unknown zone. Recommended!